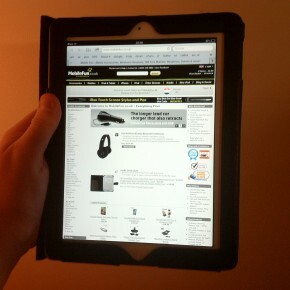 The iPad2 from Apple Inc. is great. I love it. It’s a toy that I don’t need, so I thought. But here we are, it’s in my hands and it’s awesome. I regret not buying the first version the second it came out. But I am glad I was strong enough to skip a generation. 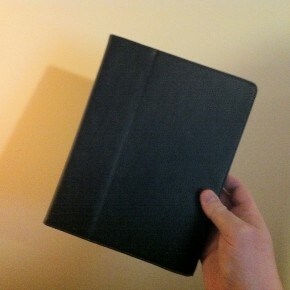 But more about the iPad2 in another blog post. It feels very strong, it feels like it’s not plastic, has strong glass, and the device is so thin; It’s just amazing. I am sure in 2012 I will write about how awesome it still is, and how much I need it. Now, I am just a geek that wanted it, wanted the technology and experience being part of the next generation of computing devices. The back is probably easy to scratch, I’ve heard a lot of my friends complain about easy scratches. The glass however, knowing how it went with the iPhone4, will probably do just fine. But I wanted security. 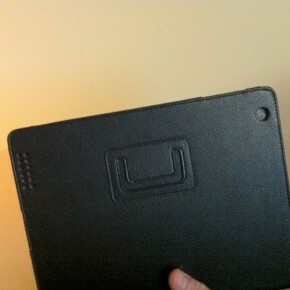 Without making the iPad feel like a thick old Dell tablet for example (sorry Dell, but you sell bricks.) Or by making it ugly with some clear protection layers, with dust and bubbles behind it. 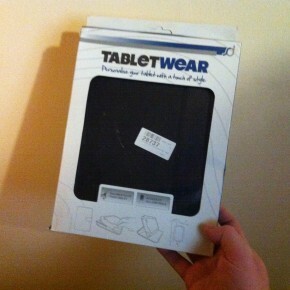 I’ve gone to MobileFun.co.uk again which has a wide variety in cases and great customer service. I’ve got a sleeve for my dad his MacBook Pro from it, as well as tried out a bluetooth keyboard for the iPhone, a stand for my Powerbook, to just name a few things. I was afraid I’d still end up with a gimmicky sleeve-, stand-, and type case for my iPad, but boy was I surprised to learn it’s simply the best one I’ve tried. Just to be clear: it doesn’t come with a keyboard (some people asked). 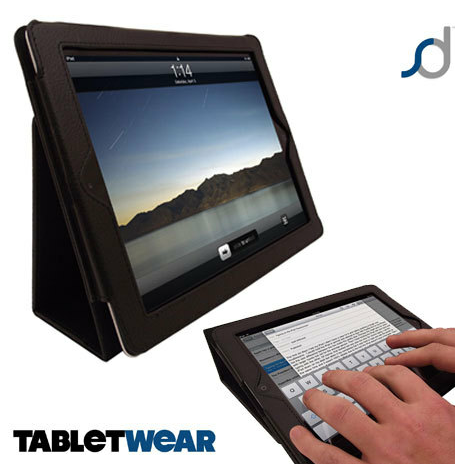 The SD TabletWear Stand and Type iPad Case (every iPad version fits by the way) is just around 15 UK pound and I got it from here: http://www.mobilefun.co.uk/sd-tabletwear-stand-and-type-ipad-3-ipad-2-case-black-p28737.htm (iPad 2 cases) and it’s available in various colours. However, I prefer to just go with black. 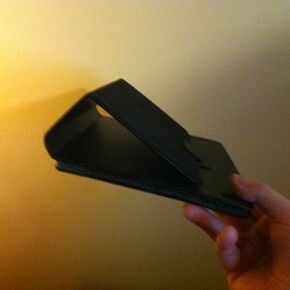 You can use it as a stand, there’s a thingy in the back that sticks out which is very easy to use when you need it. Once I put my iPad in it I instantly knew I had a winner. It’s feels great to the touch, it doesn’t make it feel all bulky, it protects the front and the back, it’s good quality, and the slit where you slide the iPad in has velcro so it can’t slide out. There are holes at the right places so your cameras, plugs, etc aren’t obstructed and can still be used. Since I got it I’ve recommended it to a few friends all around the world, who placed an order and were quite happy with the results. The inside of the “flap” that is the cover you open and put behind the case or use as a stand, has this soft velvet like inside that also helps you clean and protect the screen. It’s robust enough that I don’t fear any damage and I’ve been quite rough with the case sliding it over the table, pushing it aside, throwing it on the couch from a distance and putting it on the back of my bike under the binders. Something I wouldn’t do with my iPad normally just out of fear of a single scratch or any possible damage. The case itself is still looking as new and I strongly recommend it if you’re careful with your Apple products and want to properly protect your iPad. Not to mention, it survived the scratches and chewing on corners of my cat. And I rather she ‘plays’ with this case than the actual iPad, which she loves to play with too. The cat-games for iOS keep her busy for many hours.